On Saturday 18 February 2017 Nigeria officially became the fourth country Street Child works in, when we launched our first project in the New Kuchingoro Displaced Persons Camp, on the edge of Nigeria's capital Abuja. In November, we launched a fundraising campaign in response to conflict in the North East of the country, which has left three million children unable to go to school. We're now on the ground and taking action to help families whose lives have been torn apart by conflict. This project in Abuja is just the first step of our planned work in the country. This specific project will work with families who have been displaced by the conflict, which has forced 2.7 million people to flee their homes since 2011. It is providing 150 children with sustainable education support, so that they can return to school and remain in education. We are also giving 30 mothers vocational training and business support so that they can rebuild their lives and provide for their children long term. 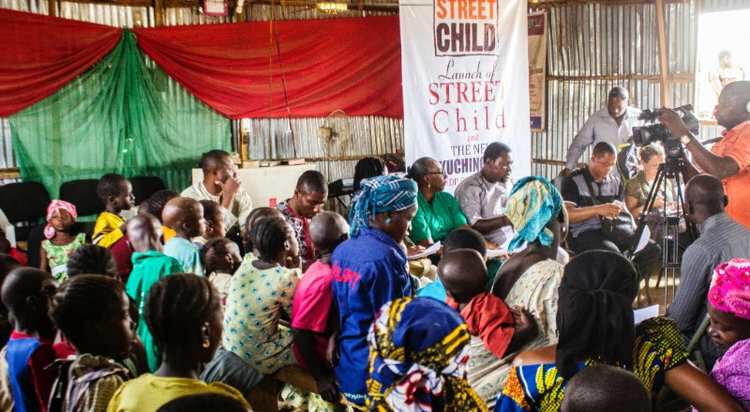 Right now, we are planning further projects in Nigeria, partnering with local organizations to provide children with the safe education spaces that they deserve. Your support is making it possible for us to give hope to a generation of children. Thank you.